I think it was on that satirical Stats Canada Twitter account that I read: “90% of Canadians watch the Oscars just so they can point out who is Canadian.” Funny? Yes. True? Most likely. We’ve got that patriotism thing down pat here in Canada, and why not? There are some mega talented people rising from far and wide out of the True North strong and free. We, with glowing hearts, claim them as our patriots. When I watched the Oscars this weekend, you can bet I was on Canada watch… And Toronto watch… And UofT watch. No, I don’t think there were any UofT alumni accepting awards that night, but UofT itself is connected to the night’s big winner. That’s right! Parts of Spotlight were filmed right here on our stomping ground! 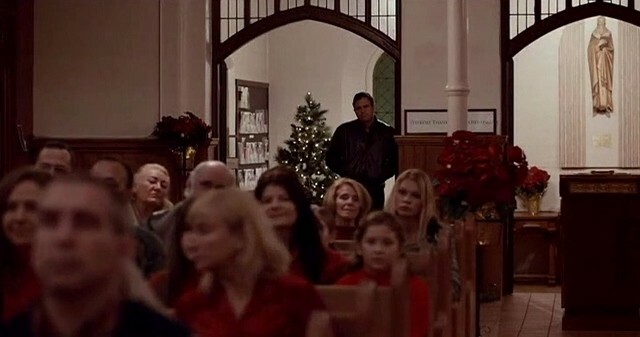 Specifically, Liev Schreiber’s character attended a meeting in the beautiful Oak Room at the Newman Centre and Mark Ruffalo’s character hung out at St. Basil’s during one of the film’s most poignant moments. Over the years, UofT has played host to a ton of great films. David Fleischer wrote an article for UofT Magazine listing some of the most popular, including Mean Girls, Good Will Hunting, Cocktail, Pacific Rim, Resident Evil: Afterlife, and Total Recall, among others. Do you recall a car getting flipped over during the filming of Total Recall? I decided, in honour of UofT being put in the spotlight by Spotlight, I would list some more of our lovely university’s star turns. In this Canadian classic, Old Vic fills in for Queen’s Academy, the fictional college in Charlottetown where Anne went to earn her teaching degree. Anne’s school becomes a stately Victorian mansion in this scary flick, which director Guillermo del Toro insists is a Gothic romance, not a horror film. He also insists that architecture is symbolically significant to the film, so that definitely makes Old Vic a star. The fact that other stars, like Tom Hiddleston, Mia Wasikowska, and Charlie Hunnam were hanging around our campus is nothing to be sniffed at either. This SNL spin-off movie stars Molly Shannon as a nerdy Catholic schoolgirl who falls in love with the hunky Sky Corrigan, played by Will Ferrell. 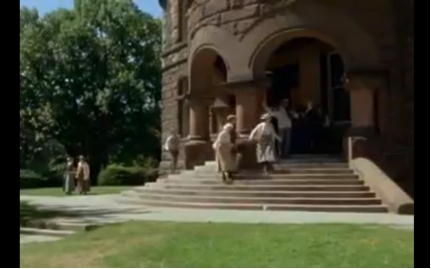 If you skip to 0:36 in the trailer, you’ll see the aforesaid hunky dude strutting down the steps from our very own Knox College Chapel. In this comedy, UofT stands in for Harvard Law School, where a first-year student unwittingly ends up in a relationship with his least favourite professor’s daughter. Hilarity ensues, of course. 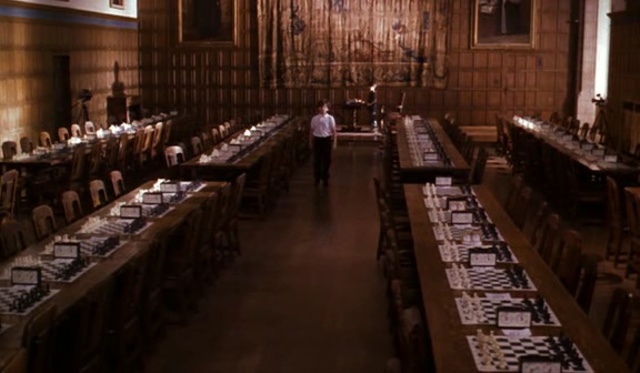 This film, based on a true story about a chess prodigy, makes use of Trinity College’s Strachan Hall as the setting for its final chess tournament. With a star studded case including Oscar winner Ben Kingsley and Oscar nominees Laurence Fishburne, Joan Allen, William H. Macy, David Paymer, and Laura Linney, it must be good! This slasher flick about a bunch of sorority girls getting picked off by a serial killer during Christmas Break used various locations around UofT, prominently featuring Annesley Hall and Hart House. Edgar Wright’s instant cult classic is unabashedly Torontonian, which is why it’s my favourite on this list. Scott Pilgrim frequents all the best hipster haunts, like Sonic Boom (in its old Annex location), Lee’s Palace, and even the Pizza Pizza across from Honest Ed’s. 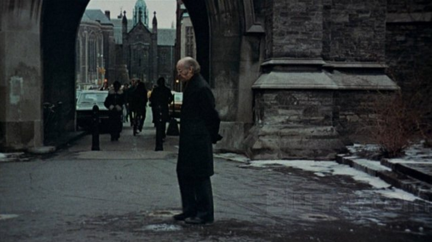 Ever faithful to its comic source material, the film shows Scott and co. wandering the UofT St. George Campus where most of them met as students. Scott, however, is unsure if he graduated; his memory of his whole last year is fuzzy. Fun fact: The Academy’s newest Best Actress winner, Brie Larson, played Scott’s ex-girlfriend, N. V. Adams. The Dream Team, Pixels, Regression, The Vow (come back any time, Channing! ), American Pie, Chicago, Capote, the list goes on and on. 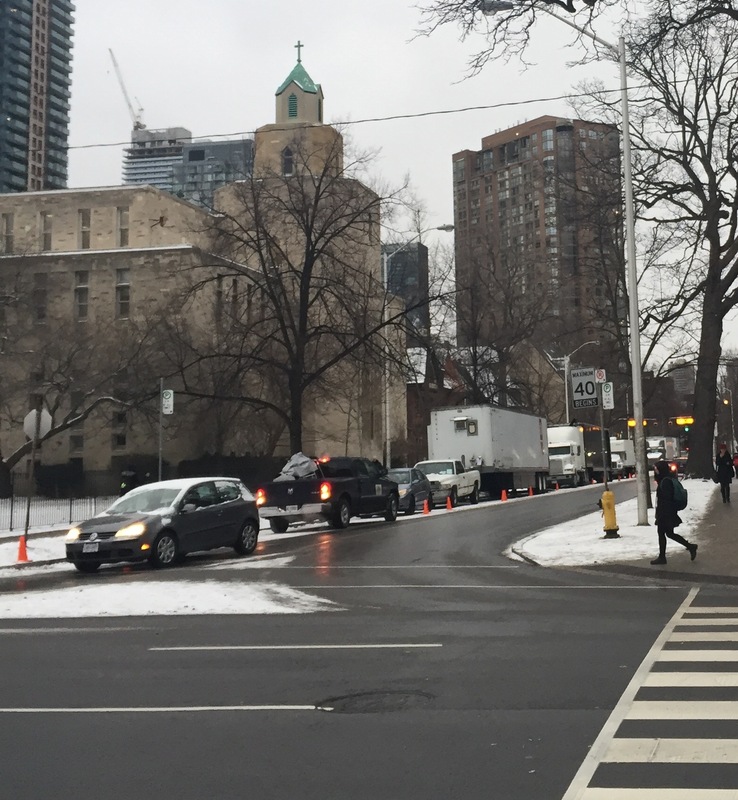 A number of popular TV shows also shoot around campus, like Hannibal, Nikita, Reign, Lost Girl, and Covert Affairs. 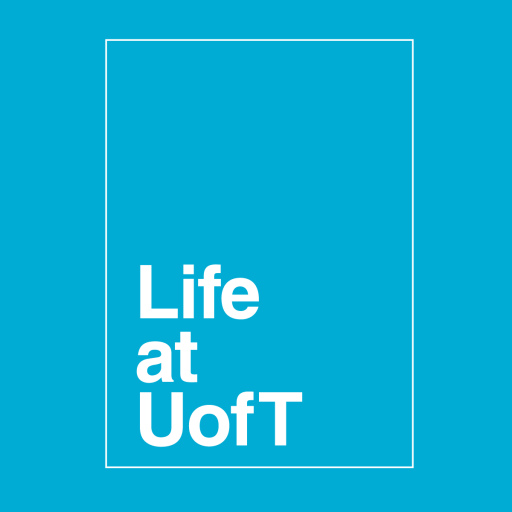 What are your favourite films and TV series that gave UofT a moment in the limelight? Let me know in the comments below! 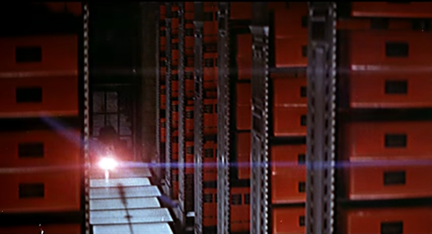 Now, I’ll leave you all with a skill-testing question: CG rendering of Robarts as a dystopian, zombie-ridden prison OR just a normal day at Robarts post-Reading Week? You be the judge. I loved reading this article – as a UofT student and a huge TV and movie fan 🙂 My favourite would have to be Pixels just because I had summer school when they were shooting and I got to meet Adam Sandler and Ashley Benson! P.S. Pretty Little Liars is my favourite show so I kinda freaked out when I met Ashley Benson at UofT! And of course Adam Sandler is a legend. They were both so cool! Previous Post What’s your big IDeA for making the world more accessible? Next Post Happy Nutrition Month!